The tenth anniversary edition of Qatar International Food Festival (QIFF) concluded on Saturday, 30 March after 11 days of celebrating foods & cultures of the world. 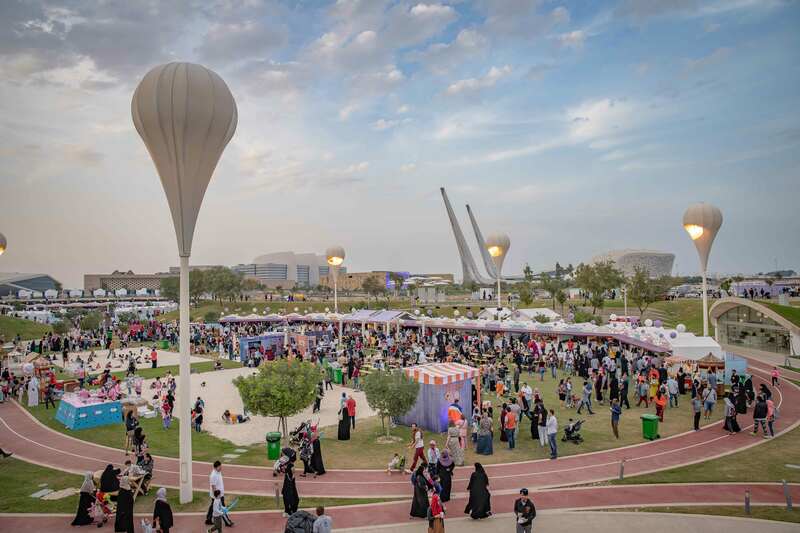 Every day, throngs of foodies and fun-seeking families arrived at Qatar Foundation’s Oxygen Park to enjoy newer flavours, live entertainment and outdoor fun in Qatar’s beautiful spring weather. To mark the special edition, this year QIFF hosted 37 international and local celebrity chefs to enthrall audiences with their culinary brilliance. This is the largest number of chefs hosted in any one edition. In addition to live cooking demos and cooking competitions, people sampled mouthwatering F&B offerings at 157 booths, 12 food trucks, and various booths at the Torba Farmers Market within QF’s Education City. Alongside the main festival, QIFF offered monthlong side activities including exclusive Chef’s Table sessions and cooking masterclasses with international chefs, nutrition workshops for school children, and exclusive QIFF Menu listing discounted meals at over 90 popular eateries across the country. QF collaborated with QIFF this year as its Strategic Partner, hosting the 10th edition in Oxygen Park. 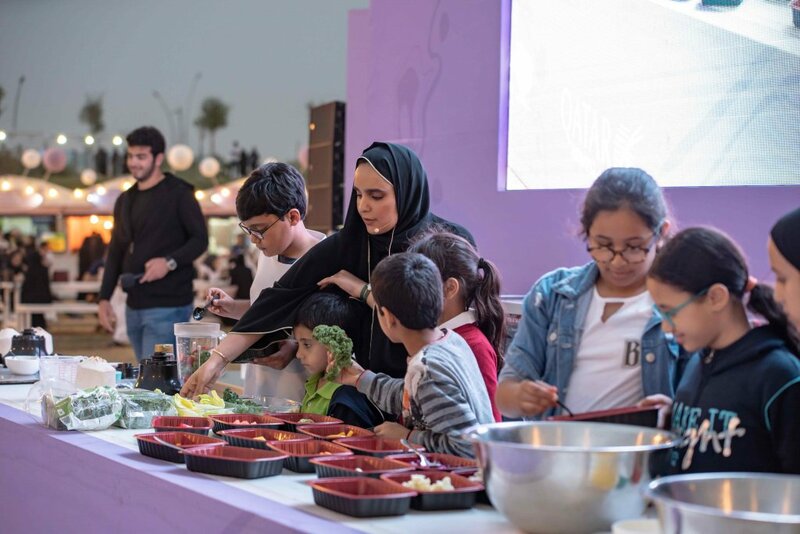 The partnership extended beyond the festival’s venue with Qatar National Library hosting QIFF’s healthy nutrition workshops for school children and the Chef’s Garden restaurant in Education City hosting Masterclasses of 4 international chefs. Torba Farmers Market also extended its weekend timings to operate throughout the duration of the festival. Mr. Khalifa Essa Al Kubaisi, Media Relations Manager, QF said, “Qatar Foundation is proud to have hosted the 10th edition of the Qatar International Food Festival at Education City’s Oxygen Park, and we congratulate the organizers and participants for their efforts in ensuring the success of this event.  “Over the past 11 days, the festival has brought together thousands of visitors from all over Qatar, and beyond, in one place for a wonderful community event, presenting them with an array of cuisines from around the world amid Qatar Foundation’s unique environment. QIFF 2019 organised and delivered by QNTC with support from the above festival partners as well as several other partners including: W Doha, Torba Farmers Market, Kidzania Doha, Aura Hospitality, Qatar-India Year of Culture, Akly, La Cantine, Zomato, Talabat, Uber, Chargello Qatar, Wahab, Qatar Cooking Academy, Qatar TV, Oasis Water, DFI, LES, QNB, Infinity, InterContinental Doha, Gymmito0, F45, Strong Box. QIFF 2019 hosted 37 international and local celebrity chefs from 17 countries, to show their culinary magic in its most popular live Cooking Theatre. Among these, 8 were Qatari chefs, 8 international chefs based in Qatar and 21 international chefs flown in from all over the world by Qatar Airways.Participating chefs were: Masaharu Morimoto, Manal Al Alam, Jameela Al Lanquawi, Tasneem Al Nasrallah, Al Yazi Al Awadh, Eric Lanlard, Richard Sandoval, Ranveer Brar, Goila Saranch, Siba Mtongana, Jenny Morris, Salma Souleiman, Sam Çeviköz, Dominique Ansel, Aisha Al Tamimi, Ameena Mussa, Sarra Al Sayed, Hend Salah, Noora Al Mazroui, Noora Al Kuwari, Mohamed Jassim Belkhams, Chef Hassan, Stephane Buchholzer, Elif Edes Tapan, Jason Atherton, Francesco Scala, Shane Macneill, Rusly Ahmed, Asma Al Bahr, Fawaz Al Amimi, Nabil Asfer, Mohit Kumar Trivedi, Ankit Tiyagi, Luis-Rey Nino, Surjan Singh, Khalid Aboujassoum and Zarmig Haladjian. QIFF is a multicultural event and under the Qatar-India Year of Culture theme, it shed a spotlight on Indian cuisine and cultural elements in its program of events. In addition to popular Indian restaurants based in Qatar offering authentic Indian dishes to festival visitors, four renowned celebrity chefs flew in from India to participate in QIFF’s live cooking theatre. Indian classical dance performances were featured in QIFF’s opening ceremony as well as during the festival along with artistic yoga. There was daily live entertainment throughout the 11 days with performances from the band Marc Hatem and Take 5 and Fijri group, Indian classical dance performances by Rina Jana group, Laser and Smoke show and Artistic Yoga. beIN returned this year with their daily cooking competition “So you think you can cook” for food hobbyists to show off their culinary talent in front of QIFF audiences. Kidzania Go offered fun activities like TV station, Radio Station, 360 Virtual Reality and a RightzKeeper Zone for toddlers in the kidz zone. QIFF 2019 extended its celebrations beyond the festival grounds allowing visitors and residents to enjoy specially-curated QIFF Menus on offer at over 90 cafes and restaurants participating across the country throughout the month of March. In addition, a series of Chef’s Table were held at select five-star hotel restaurants as well as Masterclasses at Education City’s Chef’s Garden restaurant, giving residents and visitors an opportunity to enjoy special live cooking and dining experiences with internationally-acclaimed chefs. QIFF, in partnership with QF, engaged school students in healthy nutrition workshops between 10-18 March at Qatar National Library, which is based at Education City, with local Chefs Noora All Mazroui, Sarah Al Sayed, Warda Ibrahim and Coach Noora Al Kuwari, along with participation from Bedaya Centre and Baladna Farms.